With the proliferation of markets for buying and selling perfumes, customers are invariably concerned about whether or not the perfumes they are buying are genuine and original, or fake and counterfeit. These are very real and pertinent concerns as customers only want the best perfumes, with originality guaranteed. While it may be easier to buy perfumes from a boutique, an exclusive showroom, or department store, where customers have the opportunity to examine the packaging and also, smell the fragrance to make both objective and subjective evaluations before making the purchase decision, buying online complicates this a bit. In this blog, we will provide you with 5 perfume buying tips that will enable you to avoid fakes and counterfeits, and ensure that you buy genuine and original perfumes at all times. Retail stores, department stores and boutiques that are well established and have a solid reputation are more likely to sell original perfumes and fragrance products than other players. This is because they have a reputation to protect, and thus, will more likely source their merchandise directly from the manufacturer, or from reputable suppliers, following proper supplier due diligence. If there is any problem with a product, they are more likely to have a proper sales returns process, which they may conduct in coordination with the supplier. Apart from in our exclusive showrooms in the MENA region, Asia and the UK, Al Haramain also sells its products through trusted sellers such as 4 Corners Distribution Limited (UK), Harvey Nichols, Beymen and Galeries Lafayette (Istanbul, Turkey). 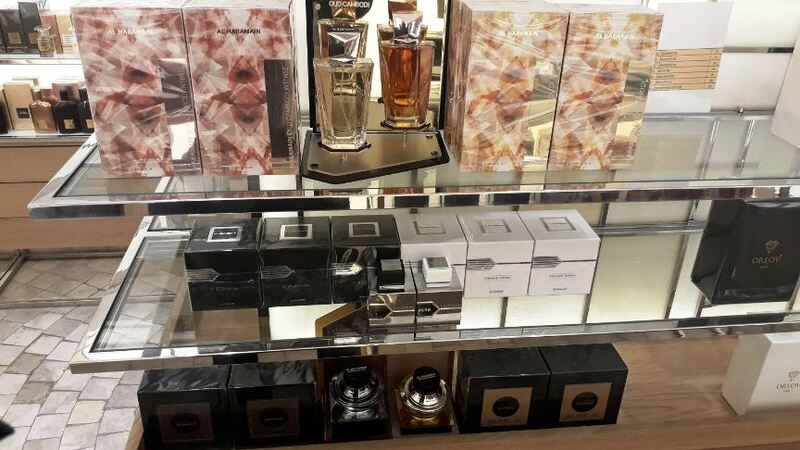 You can also find original Al Haramain Perfumes products in renowned travel retail shops such as Dubai Duty Free, and also aboard reputable airlines such as Gulf Air. Many fragrance companies worldwide distribute their perfumes through a well-established network of exclusive showrooms around the world. These will give you a guarantee of originality and quality that you cannot get elsewhere, and with the best service, and at the best overall prices. 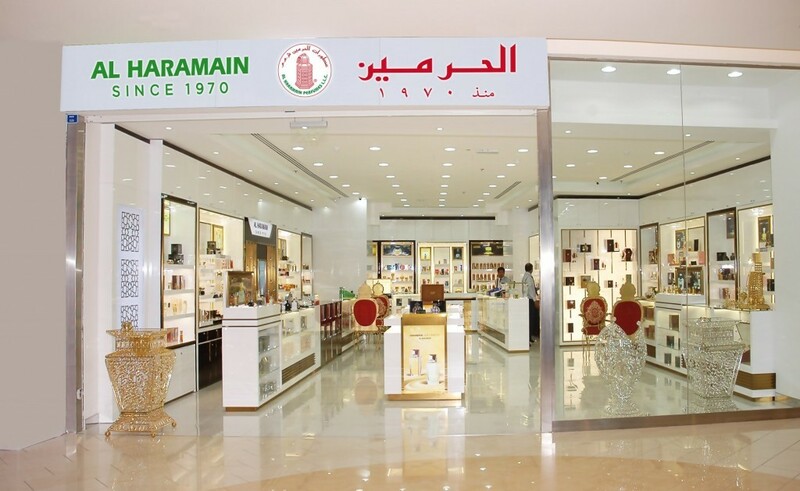 Al Haramain Perfumes has a large and growing network of exclusive retail stores in the UAE, Saudi Arabia, Oman, Qatar, Kuwait, Bahrain, Bangladesh, Morocco and the UK. All these showrooms have standard branding for ease of identification, and sell only Al Haramain products, thus giving you the best purchasing experience as our sales staff are well trained and knowledgeable about the products, thus better equipped to provide customers with the best pre-purchase advise, and after-sales service.